Did Israel just strike a weapons depot in Syria? Latest reports. Why Egypt’s top general is so popular, and why he may run for president. 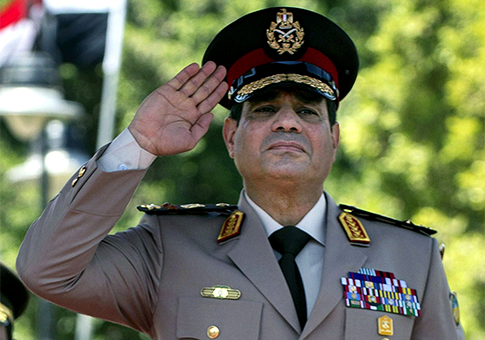 Will General Sisi run for the President of Egypt next year? The Egyptian military commander who overthrew the Mohammed Morsi regime and is waging an aggressive crackdown on the Muslim Brotherhood, is growing increasingly popular amongst the people of Egypt. Indeed, there is growing talk that when elections are held sometime in 2014, the General may be the prohibitive front-runner. Clearly he is someone to keep an eye on, and be praying for. But why is the General so popular? And will he really run for president? Consider this analysis by a former senior Israeli military intelligence official. The report was written by Israeli Colonel (retired) Dr. Jacques Neriah, a special analyst for the Middle East at the JCPA. Neriah previously served as a foreign policy advisor to Prime Minister Yitzhak Rabin and as Deputy Head for Assessment of Israeli Military Intelligence. General Abd el Fattah el-Sisi, the man who led the overthrow of President Morsi on July 3, 2013, holds the combined titles of Commander-in-Chief of the Armed Forces, first Deputy of the Prime Minister, and Minister of Defense and Military Production. Unlike his predecessors, Sisi is waging a merciless campaign against jihadi fighters in Sinai Peninsula in order to restore Egypt’s sovereignty there while drastically reducing Hamas’ power in Gaza. Sisi may be “called to the flag” as a savior in order to salvage Egypt from its enemy, the Muslim Brotherhood — talk shows and newspaper columns have been advocating the idea of the general running for president in order to fight the terrorist threat they say the country is facing. Most of the other potential candidates have declared that if Sisi would run for president, they would retract their candidacies. There is a concentrated effort to picture Sisi as the political heir of the iconic President Gamal Abd el Nasser. Sisi himself participated in the 43rd memorial ceremony of Nasser’s death. There were posters with his picture adjacent to Nasser’s. Egyptians see Nasser as the Egyptian leader who fought the Muslim Brotherhood domestically and led Egypt to the leadership of the Arab World and the non-aligned community. In fact, Sisi was presenting his legitimacy as the rightful leader of Egypt not only to his Egyptian compatriots but also toward the U.S. administration, which is questioning his legitimacy and presenting him as the leader of a coup and a usurper of power. This creates an opening for a possible Russian comeback in Egypt and through it to a reinforced Russian position in the region. By deciding to cut its financial aid to Egypt and postpone the delivery of weapon systems already ordered, the U.S. has overturned the longstanding correlation between financial assistance and Egypt’s honoring of the peace treaty with Israel. The $14 billion that Saudi Arabia and the UAE transferred to Egypt immediately after Sisi’s takeover, and the $40 billion promised in economic aid, are a reminder that Egypt may not be in need of such conditional financial assistance. Observers of the Egyptian scene are repeatedly stressing the change in the mood of the Egyptians towards the United States, from friendship and admiration to open hostility. In fact, the crisis with the Obama Administration and Sisi’s reaction to it has helped build up his leadership credentials as a daring Egyptian nationalist who does not retreat before a superpower – particularly one that so openly supported the Muslim Brotherhood in Egypt and elsewhere in the Middle East. 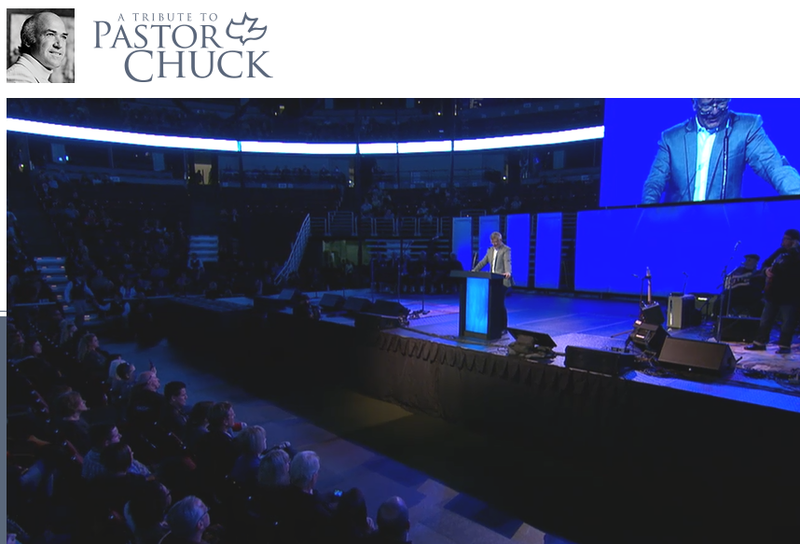 “Pastor Chuck Smith, regarded by many prominent Christian leaders as having influenced their ministries and spiritual lives, was remembered as a preacher holding firm to Biblical principles and a loyal friend to Israel at a memorial tribute Sunday evening,” reported the Christian Post. “More than 16,000 people at the event, as well as those viewing the live stream webcast internationally, watched as Smith, who died on Oct. 3 after battling lung cancer, was honored through words, music, and video,” noted the Post. “During the more than 3-hour tribute, featuring both pastors and musicians influenced by Smith’s teachings during the Jesus Movement of the late ’60s, Consulate General of Israel, David Siegel, spoke about the Calvary Chapel movement leader’s commitment to Israel, that included 60 visits to the country,” noted the Post. He added, “We are indebted and we are deeply touched. We join with you today to express our profound sadness and respect on behalf of the people of Israel for the passing of Pastor Chuck Smith. … He worked for historic reconciliation between Christians and Jews. With his passing, the state of Israel has lost a great friend.”…..
Siegal, who spoke about midway through the event, said at the outset of his message: “Being the representative of Israel, a kid from northern Israel and a rabbi’s son, I’ve probably been to more synagogues and churches in my life, but I’ve never seen anything like this. While suggesting that some who were touched by the Jesus people or Calvary Chapel movements in its early days may have lost their full commitment to Jesus Christ, Laurie asked those in attendance and the online audience to consider making a recommitment Sunday evening. “Some who started their race during the days of the Jesus Movement have stopped running,” Laurie explained. “They are resting on their laurels or have been crippled by sin. Paul said, ‘Forgetting those things which are behind . . . I press toward the mark’ (KJV). I can’t think of a greater tribute that they could give to Chuck than to ‘come back to their first love.’ It’s not enough to merely start the race; you must finish it.”…. 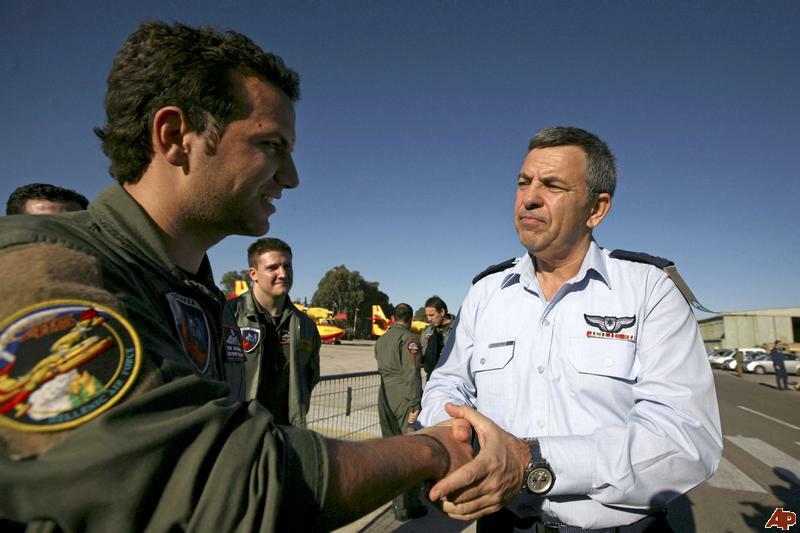 Former Israeli Air Force chief of staff Ido Nehushtan (right). “Nobody’s happy about the idea of a military strike. It is carried out when the alternative is worse. 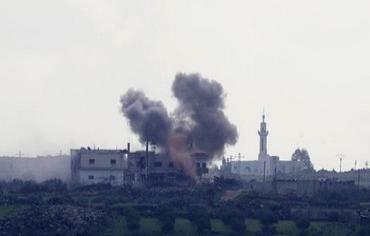 There’s no knowing what’ll happen as a result of a military strike,” he said. “Still, in the event that Iran did get to the bomb, Nehushtan said he believed not all would be lost,” the Times reported. “If we’ve reached a point where Iran has nuclear weapons and we’re too late, that doesn’t mean it’ll stay that way forever. We’re not there yet,” he said at a cultural event in Beersheba. 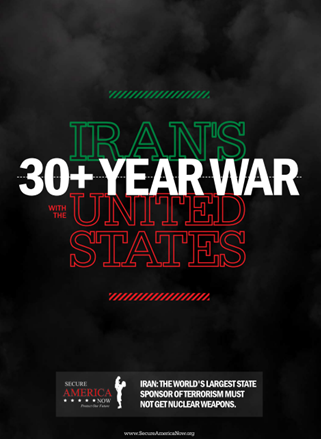 (Washington, D.C.) — A timely and sobering report has just been published that describes the deadly war the government of Iran has waged against American citizens since the Islamic Revolution of 1979. From the taking of American hostages in Tehran by Iranian students, to the killing of 241 Marines in Beirut by a terrorist group directed and funded by Iran, to Iran’s role in murdering U.S. soldiers in Iraq, the report makes clear the Iranian regime is not just taunting the American people, they are killing our people, and doing so with impunity. This is the year for decision on Iran, says former IDF intelligence chief. Fmr. 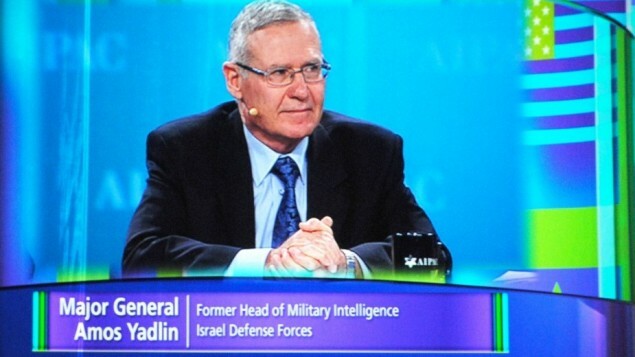 IDF intel chief Amos Yadlin. “I think in late 2013 or early 2014, especially if America sees that Iran is not serious about reaching an acceptable agreement and only continues to buy time, the US will accept an Israeli attack because a nuclear Iran is absolutely against American vital national security interests,” Yadlin said. 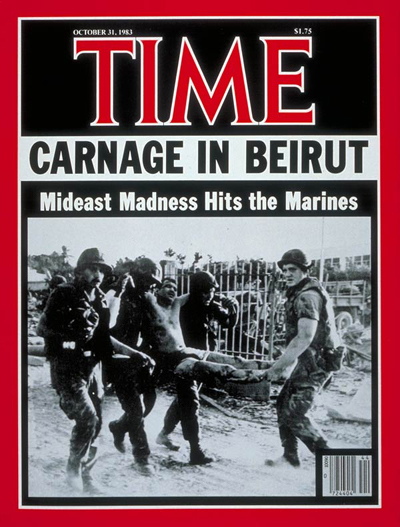 Inside Iran’s murder of 241 U.S. Marines in Beirut: Reflections on the Islamic Revolution 30 years to the day after the attack. A Time magazine cover from 1983. At 6:25 local time on the morning of October 23, 1983, agents of the ayatollah used a suicide bomber to plow a truck filled with explosives into the U.S. Marines barracks in Beirut, Lebanon. The attack resulted in “the largest non-nuclear explosion that had ever been detonated on the face of the Earth,” according to a U.S. federal court judge who found the Islamic Republic of Iran guilty of perpetrating the crime. [i] Locked doors on a building nearly three hundred feet away were ripped off their hinges. All the trees in the surrounding area were stripped completely bare of their leaves. The windows in the control tower at Beirut’s international airport were blown out. And the four-story cement and steel Marine facility collapsed into fifteen feet of rubble, ash, and smoke. When my wife and I got married in the summer of 1990 and settled in the Washington, D.C., area, we soon met Charlie and Lynn Derbyshire, a couple at church who had experienced the evil of the Iranian Revolution firsthand. Lynn lost her oldest brother—Marine Captain Vincent Smith—in the Beirut bombing. Charlie was still helping her heal from the loss when we met. But the horrors of 9/11 and the subsequent deaths of American and Israeli forces in Iraq, Afghanistan, and Lebanon in the years that followed ripped open those wounds afresh. Through Lynn and Charlie, my wife and I have gotten a personal and painful glimpse at the lasting emotional scars left by the jihadists. When I set out to write this book, I wrestled with whether or not to even ask Lynn if I could share her story. In the end, however, I did ask. I felt it was important for others to understand the human impact of the Revolution and to realize that for the victims of terrorism, the trauma is in many ways as real today as it was so long ago. Graciously, Lynn and Charlie agreed. Vince graduated with honors from high school, then headed off to the Naval Academy. He played football. He sang in the glee club. He also became a follower of Jesus Christ while at the Naval Academy through long conversations with Lynn’s cousin, a strong believer, who was there as well. In time, Vince fell in love, got married, and then went off to basic training and flight school before becoming a pilot, most often flying Cobra attack helicopters. In May of 1983, he was sent to Beirut to serve as the air liaison officer for the group, making sure that when ground troops needed air support—whether for transporting supplies or a for combat mission—they got what they needed. Network newscasters reported that suicide bombers had attacked the Marine barracks in Beirut as well as the barracks housing French peacekeepers. There were 241 Americans dead, 56 dead from the French barracks, and many more wounded. Lynn rushed back home and called her parents, who were living in Washington, D.C., but they were not home. Nobody had cell phones back then, so she had no way of reaching them. “We just don’t know anything yet,” her father replied, noting that his colleagues were saying a massive search-and-rescue operation was under way because there were so many men still unaccounted for. “How did you finally get the news?” I asked her. “That was a whirlwind in itself, trying to get from a tiny little town in central New Mexico back to Washington, D.C., and see to the funeral arrangements, and it was just surreal. They buried him in Quantico Cemetery. It was the first time I had been back together with most of my family since my wedding day. So to go from the joy of seeing your family at your wedding and then to be together at a funeral, it was just terrible. In time, U.S. authorities reconstructed the chain of events that led to the bombing. They learned that after months of monitoring operations at the barracks housing the 24th Marine Amphibious Unit, Hezbollah operatives had ambushed a truck that was headed to the compound to deliver fresh water. The operatives then quickly replaced that truck with one they had painted to look like the one Marine guards were expecting. This nineteen-ton vehicle, however, had been outfitted with some 2,500 pounds of high-tech explosives. The driver, the U.S. later learned, was a devout jihadist, eager to give up his life to kill Americans and thus, he hoped, secure his place in paradise. At the time, of course, Lynn and her family knew almost none of the details. They were operating in the fog of war, amid rumors and scraps of information. Moreover, they were dealing with a kind of warfare that had never been used against Americans before. Lynn was not alone; this was the first known suicide bombing by Muslims against American targets in history. Many Americans were unsure why we had forces in Lebanon in the first place and demanded that we pull out. We were not there making peace, they argued. We obviously were not keeping the peace. There was no peace. So what was the point? Unfortunately, the U.S. government offered no answers. In my view, the Reagan administration should have attacked Hezbollah camps with a vengeance, making it clear that killing Americans would not pay. They also should have given the Marines clearer rules of engagement. Incredibly, at the time Marine “peacekeepers” in Lebanon weren’t allowed to carry weapons with live rounds in them. The Marine guards on duty the morning of the attack had not even been allowed to chamber rounds of ammunition in their weapons, making them helpless to stop the suicide bomber as he sped toward them. They were sitting ducks. All of that should have changed immediately. But instead of showing strength in the face of the jihadist challenge, the Reagan administration cut and ran. On February 7, 1984, President Ronald Reagan announced that he was pulling the Marines out of Lebanon. Not a few Americans breathed a sigh of relief. But among jihadists throughout the region, there was elation. The “Great Satan” had just been dealt a significant blow. The Americans were now in retreat, all because of one driver willing to give up his life to kill others. This was a model, they concluded, that had to be replicated. And then the story took a curious twist. Sure enough, over the next few years, as the U.S. government continued to investigate the attack, it became increasingly clear that the entire operation had been set into motion not by Hezbollah alone but with the direct assistance of the Khomeini regime in Tehran. The mounting evidence was so compelling, the families of the slain Marines eventually decided to join together and file a wrongful death suit against the Islamic Republic of Iran. In so doing, they hoped to prove once and for all in a court of law that Iran was, in fact, responsible for the deaths of their loved ones. They also hoped to punish the regime in the only way they could, since neither the Reagan administration nor any U.S. administration that followed had punished anyone for the wanton murder of American Marines. Which brings up the question: would the Ayatollah Khomeini have been required to give approval to such a plan? At one point in the trial, lawyers questioned Dr. Patrick Clawson, an Iran expert at the Washington Institute for Near East Policy, on this very issue. Clawson said there was no doubt in his mind that such a massive attack against American forces had to have been approved at the highest possible level of the Iranian regime, specifically by Khomeini himself. Otherwise, he argued, Hezbollah would never have even considered making a move against the U.S.
Q: In the fall of 1983, was there anything of a significant nature, and especially a terrorist attack [of] the dimensions of the attack on the Marine barracks of October 23, 1983, which would or could have been undertaken by Hezbollah without material support from Iran? Clawson: Iran’s material support would have been absolutely essential for any activities at that time, and furthermore, the politics of the organization [were such] that no one in the organization would have thought about carrying out an activity without Iranian approval and almost certainly Iranian orders. Q: Is that opinion within a reasonable degree of certainty as an expert on Iran? Q: Would any such operation as the October 23rd, 1983, attack require the approval within Iran of the Ministry of Information and Security? 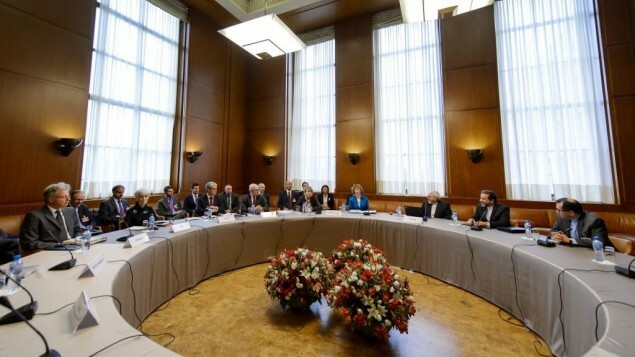 Q: What about [Iranian prime minister] Rafsanjani? I asked Lynn what her reaction was when she heard the verdict. The families of the victims know that the chances of their ever actually receiving any of the settlement money are very low. And even victory cannot heal all the wounds. [i] Cited by Daniel Byman, “Should Hezbollah Be Next?” Foreign Affairs, November/December 2003, http://www.foreignaffairs.org/20031101faessay82606/daniel-byman/should-hezbollah-be-next.html?mode=print, accessed August 24, 2008. [ii] Cited by BBC Monitoring: Al-Manar TV, September 27, 2002; see Deborah Passner, “Hassan Nasrallah: In His Own Words,” research paper produced by the Committee for Accuracy in Middle East Reporting in America, July 26, 2006, http://www.camera.org/index.asp?x_context=7&amp;x_issue=11&amp;x_article=1158, accessed July 6, 2006. [iii] Cited by Nicholas Noe, editor, Voice of Hezbollah: The Statements of Sayyed Hassan Nasrallah, p. 32. [vii] Cited by Mohamad Shmaysani, “Al-Sayyed Nasrallah: Drill Shows Resistance Full Readiness,” al-Manar, August 11, 2007. [i] See Hon. Royce C. Lamberth, United States District Judge, District of Columbia, “Memoradum Opinion” in the case of Plaintiffs v. The Islamic Republic of Iran, May 30, 2003, p. 16. [vii] See “Iran must pay $2.6 billion for attack on U.S. Marines, judge rules,” CNN, September 7, 2007. The officials decided to continue monitoring the situation while increasing home front readiness for natural disasters, Army Radio reported. For the second time Sunday, a minor earthquake shook northern Israel around 4 p.m., the fourth of its kind since Thursday. No injuries or damage were reported, but Tiberias residents told Ynet that they felt the 3.6-magnitude quake. 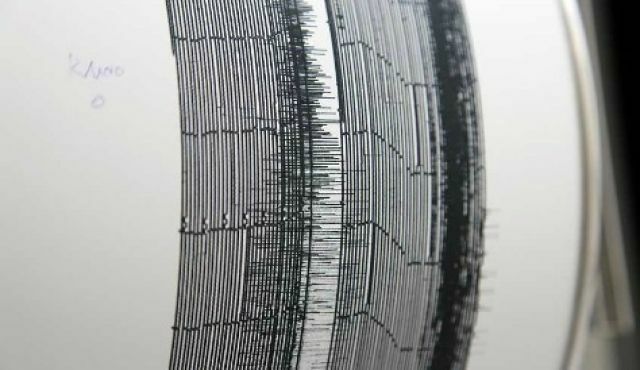 The first quake Sunday also registered 3.6 on the Richter scale quake. Both epicenters were near Kibbutz Ginosar, on the Sea of Galilee. Similarly powerful quakes rattled the north early Saturday morning and Thursday. Last Sunday, a 6.4-magnitude quake, centered in the Mediterranean Sea near Crete, was felt in Athens, Egypt and Israel. In September, an early-morning 3.5-magnitude quake was felt in the northern Dead Sea area, including in Jerusalem. Israel held a massive Home Front drill last October, codenamed Turning Point 6, which was aimed at raising the preparedness of citizens, local authorities, and emergency services for dealing with natural disasters. The exercise exposed significant shortcomings in Israel’s ability to respond to natural and man-made disasters, particularly in the lack of coordination between the army, the police and emergency services. One of the greatest challenges to Israel’s preparedness is the fact that the majority of buildings in the areas likely to be hit by earthquakes were built before the first Gulf War in 1990, and have not been properly reinforced to withstand earthquakes. Should Israel, in fact, face an earthquake emergency, it would be necessary to receive a great deal of assistance from around the world in handling the damage and injuries, Channel 2 reported at the time. “An earthquake in Israel is more dangerous than war,” the then-chief of the Home Front Command warned.